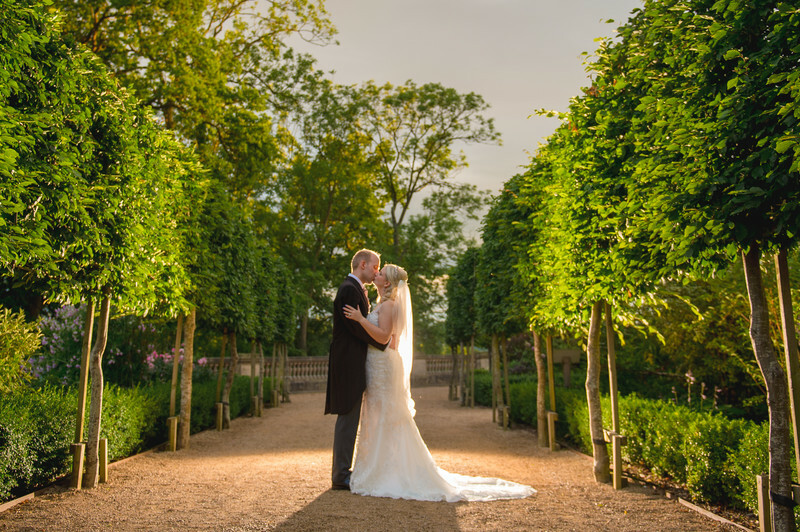 If you've seen any of my other posts regarding the Wood Norton Hotel in Worcestershire, you'll know that I'm both a) a really big fan of the venue and b) one of only three recommended photographers for them. 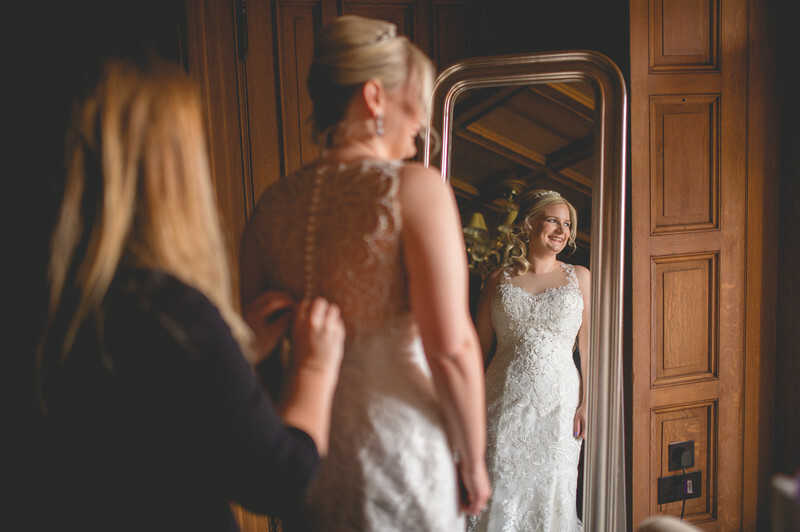 In the bedroom of the bridal suite (it's a proper suite with a bathroom, living area and separate bedroom and dressing area) is a full length mirror that a lot of brides decide to get ready in front of, which is great for photography! The light is coming from the right direction, the mirror means you can see the front and back of the dress at the same time and the wood on the walls give everything that warm glow. As Laura is looking into the light in this picture, it gives a really flatting look, and just enough light is still reaching her back to show off the beautiful and intricate detailing on the back of her dress.